15 U.S. communities awarded top honors in civic action, community-problem solving and progress in advancing early literacy. Proficient reading by 3rd grade is a strong predictor of education success. 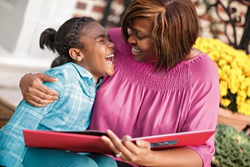 “These award-winning communities put a stake in the ground around third-grade reading and made some ‘big bets’ to improve the odds for early school success,” said Ralph Smith, managing director of the Campaign for Grade-Level Reading. Fifteen communities across the country were honored today with the 2017 All-America City Award (AAC) for their civic engagement to help more young children from low-income families achieve grade-level reading proficiency and early school success. Research has long shown that when children read at proficient levels by third grade they are more likely to complete high school prepared for college, a career, and active citizenship. The AAC Awards were presented this year during Grade-Level Reading Week in Denver, Colorado at the All-America City Awards Gathering hosted by the Campaign for Grade-Level Reading, along with the National Civic League, which created the prestigious program 68 years ago. Data collected by the U.S. Department of Education on fourth-grade students taking reading tests has shown that a wide gap exists for children from low-income families, especially among black and Hispanic children, compared to children from more affluent, white and Asian families. The Campaign for Grade-Level Reading now has more than 300 communities nationwide that have formed local coalitions to work together with parents, schools and other groups to close this reading gap and help more children succeed in school. For more than 120 years, the National Civic League has worked to advance good governance and civic engagement to create inclusive, thriving communities. We achieve this by inspiring, supporting and recognizing equitable approaches to community decision-making. Through its signature effort, the All-America City Award and its work on racial healing, sustainability, health equity and fiscal sustainability, NCL supports cities to create a better, more equitable and inclusive future.